(English) Happy Day 1 of Collecting! Nearly 1 Week Till Trap Deployment! As you are already aware we are approaching trap deployment; it’s just around the corner (Sept. 19 – 30)! As such, a package containing all the materials you will require to run the program has been sent to you via FedEx (please alert your front office). Depending on your location, you should expect to receive this package by the end of this week, or for further locations, next week. Once you receive your program package and Malaise Trap (or even if you haven’t yet), we encourage you to start blogging! 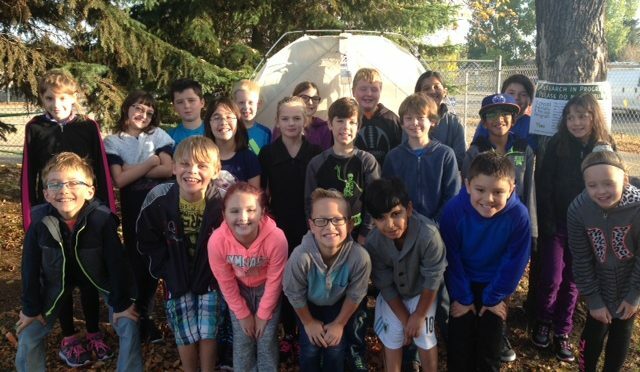 Introduce us to your school/class and tell us about the location you have chosen for your Malaise Trap (don’t forget to add a picture or two!). Also, feel free to tweet @SMTP_Canada to share your posts/pictures! The #bioSMTP team has found the perfect location for their trap – what do you think? Renee checks the collection bottle on BIO’s Malaise Trap! (English) Congratulations to our 2016 Fall School Malaise Trap Program Participants! Malheureusement, nous avons eu une interruption de service de courriel à partir d’environ 6pm HNE le mercredi 22 juin jusqu’au lundi 27 juin. Si vous nous avez envoyé votre formulaire d’inscription pour l’édition Automne 2016 du programme ou tout autre correspondance durant cette période, veuillez l’envoyer à nouveau. Notre adresse de courriel est info@malaiseprogram.ca. Nous confirmerons avec vous dans un maximum de 5 jours (mais généralement beaucoup plus tôt!) que nous l’avons reçu. Nous sommes vraiment désolé pour l’inconvénience. Registration is now OPEN for the School Malaise Trap Program! Registration is now open for the Fall 2016 School Malaise Trap Program! Interested teachers are encouraged to complete the Fall 2016 Registration Form. It is to be filled out electronically and delivered via email to info@malaiseprogram.ca (please open the form in Adobe Acrobat and save before sending, otherwise the form we receive will be blank). Please note that the deadline for registration is Monday, August 1, 2016. Spots are limited so it is best to register as early as possible. The coordinating team will review applications and begin contacting schools at the end of August to confirm registration and provide specific details about the program. We hope that you and your students have enjoyed participating in the School Malaise Trap Program over the past few years. Our staff at BIO truly believe in the educational value of this program and are ecstatic that we have been able to provide this opportunity to nearly 500 classrooms and 15,000 students across Canada since 2013. Currently, the School Malaise Trap Program costs about $1000 per school to run, and we have the ambitious goal of continuing to provide this program to approximately 60 schools in both the fall and spring of each year. Sadly, during 2016 we will be unable to reach this goal. Due to a lack of funding, we will not be able to host the Spring 2016 School Malaise Trap Program. All remaining funds have been channeled towards a guaranteed Fall 2016 program. With the hopes of bringing back the Spring program in 2017, we are in the midst of applying for major funding which holds the potential of supporting the program for quite some time – yet we will need your help to make this future a reality. If you enjoyed the program and the learning opportunities that it provided to your students, please consider writing a letter of support on our behalf so that we may forward this positive feedback to our generous funders with the hopes of gaining continued support. Please help us keep the School Malaise Trap Program alive! We ask that letters be written and signed (if possible) on official school/institution letterhead and submitted by Feb. 9th, 2016. We thank you for your continued enthusiasm and support and look forward to hearing from you soon. It’s #GivingTuesday! Please help to support the School Malaise Trap Program! 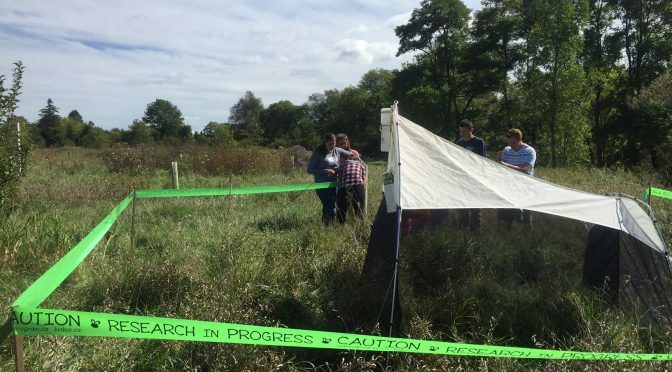 Today is Giving Tuesday, the global day of giving, and we are excited to announce that this year the School Malaise Trap Program will be hosting a crowdfunding campaign through the University of Guelph! Over the past three years, the program has become an outstanding success through the constant dedication of educators, students, and supporters of the Biodiversity Institute of Ontario. Through our generous funders we have been able to reach nearly 15,000 students and over 250 schools across Canada! Furthermore, the scientific findings associated with the program are quite impressive. Over 6,500 arthropod species have been collected by participants, with 1041 of those species being new to BOLD. As resources diminish, we are asking for support from generous donors like you so that we may keep the program alive! This year we are hoping to raise at least $10000 in order to keep the program free for participants (average cost = $1000 per participant). For more information about our program costs and our goals, please click here. Every little bit helps! If each person who receives this email donates $15.43, we would be able to reach our goal TODAY! We ask that you kindly consider donating as well as spreading the word by forwarding this email or sharing it via social media. All donations are eligible for a tax receipt, and you can feel good about continuing to bring modern biodiversity science to students and educators across Canada. We thank you in advance for your contribution to keep this valuable educational opportunity alive! Please Help Us Keep The Program Alive! #GivingTuesday! 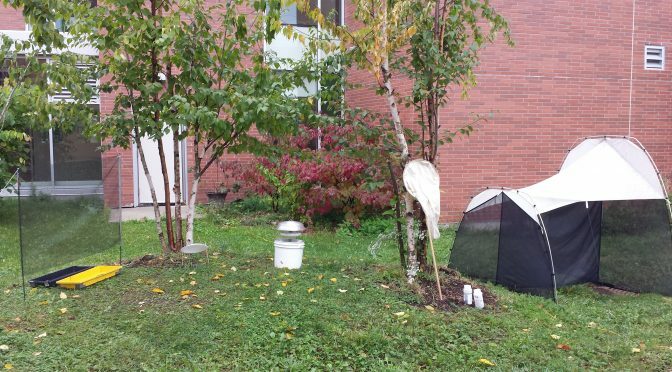 Tomorrow is ‪#‎GivingTuesday‬ and this year, the School Malaise Trap Program will be part of a crowdfunding campaign through @UofG! Through your generous support we hope to keep this unique ‪#‎CitizenScience‬ program alive for students across Canada. 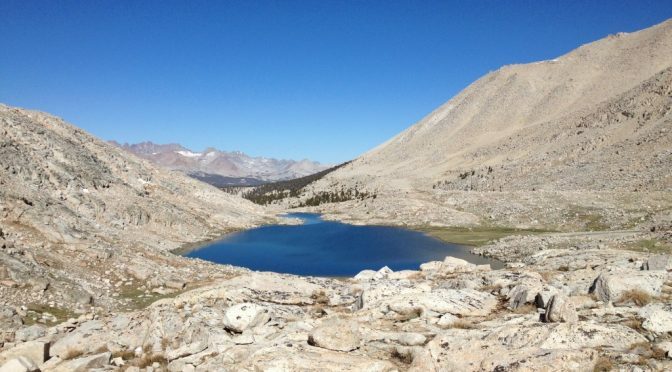 Carlene, a Collections Technician with the Biodiversity Institute of Ontario, has just returned to work after taking the trip of a lifetime – a 6 month adventure spent hiking the Pacific Crest Trail! Continue reading about Carlene’s adventure here! Glad to have you back Carlene!